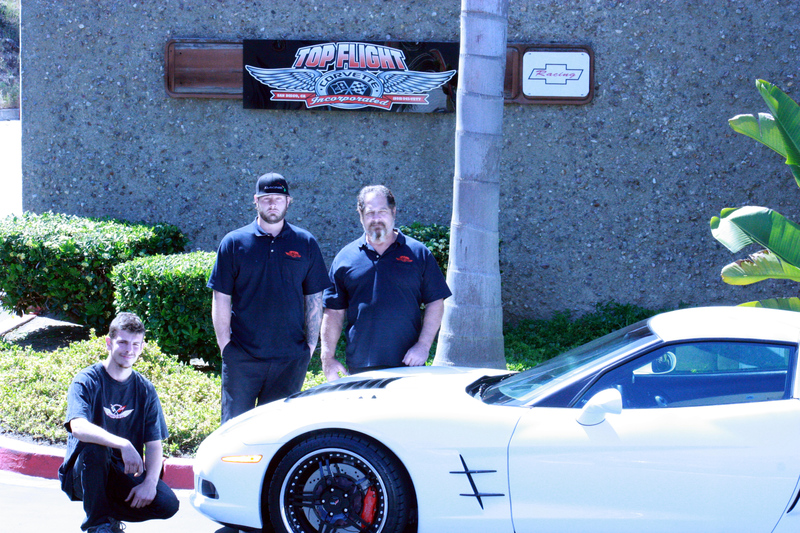 Welcome to Top Flight Corvette Inc.
Our motto, If you want it done right, bring it to Top Flight. Based in San Diego, CA We specialize in all years of Chevrolet Corvettes. We will provide services for all of your high performance needs. Of course we love any year Corvettes, but you can bring us your American made muscle car such as a Camaro, Firebird, Charger, Nova, Challenger, Dart, Fairlane, Viper or just bring your daily driver to get a tune up.With over 40 years of experience, we will complete restorations, high performance modifications, and any othergeneral maintenance to any vehicle you bring to the shop. Accepting many, various awards, we pride in being one of the best auto shops you will find in the Southwest region of the United States. From Street to Strip to complete, if you want it done right, bring it to Top Flight!